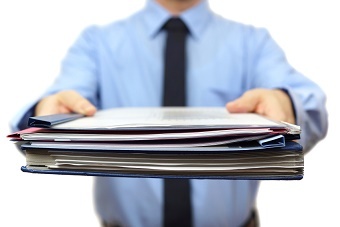 "What to Include in Personnel Files"
Do you know what to include in your personnel files? 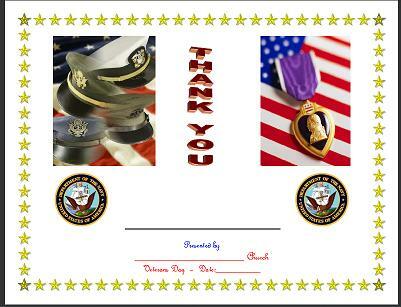 Take a quick moment to check out the what to include in your personnel files below along with Veteran's Day Ideas. Also, check out the what "Fringe Benefits for Ministers" are available! Shepherdbase is On Sale Right Now By High Demand Through Nov. 30th, 2014! - Are you finding yourself overwhelmed in the office? Shepherdbase will save you a lot of time in your church office. Shepherdbase - Church Membership Database will track memberships (unlimited with one time fee), contributions, attendance and much more On Sale Right Now for ONLY $29.99 by High Demand so Hurry & Enjoy these Savings! Shepherdbase (Church Membership Database) on Sale Right Now Through Nov. 30, 2014! Have you ever wondered what exactly should be in your personnel files? If yes, then take a quick moment below to find out. The employee personnel file is the main file that contains th employee's history of employment relationship from the employment application through exit interview and employment termination documentation. Only your Human Resources staff and the employee's immediate supervisor or manager may have access to the information in the employee personnel file, and it should never leave the Human Resources office or supervisor's office. Some of the documents below might not apply to your specific church but most of these are a must if you have employees in your church. Termination Notice/Resignation Letter, Exit Interview Documentation, Cobra Notification, Employment Termination Documentation, Final Accounting for all Aspects of the Employee's Employment such as Final Paycheck, Vacation Pay, Return of Company Property, etc. Will the employer need this certain document to justify decisions made if by chance the employer was sued? Would the document be needed in a court of law? Did you inform the employee that the document will be filed in their personnel file? In the majority of cases, employers should have the employee sign the document, not to signify agreement with the contents of the document, but to acknowledge that they were aware of and that they did read the document. DO NOT EVER put opinions or personal notes about the employee in their personnel file. ONLY, put the facts, no speculative thoughts belong in an employee personnel file. If you would like a simple report that you can insert in their personnel file that has employee's contact information with easy access then you need Shepherdbase. Shepherdbase (Church Membership Database) is a great tool to access a quick easy report with employee or church member's personal information (name, phone, address, email address and much more)! Veteran's Day will be on November 11th, 2014 and most churches are planning to honor their veterans. If you have veterans in your church that you would like to honor on this Veteran's Day then check out the beautiful Veteran's Day Certificates, Poems, and much more below. A wonderful tribute to anyone who gave in service to their country, Chicken Soup for the Veteran's Soul is a compelling collection of true-life experiences of extraordinary men and women who changed the course of history by their acts of valor in World War II, the Korean War, Vietnam and the Persian Gulf. 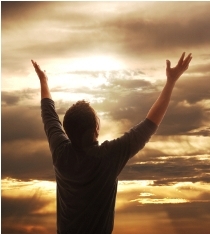 It relays heroic deeds, acts of compassion and empathy, fears confronted, and victories attained. Chicken Soup for the Veteran's Soul will inspire and touch any veterans and their families, and allow others to appreciate the freedom for which they fought. The housing allowance and expense reimbursement plans are relatively easy to set up; however, benefits such as HSAs, cafeteria plans, retirements, etc. should be handled by tax professionals to ensure they are set up properly. Click Here to Read More on "Fringe Benefits for Ministers". I will be continually adding new forms, certificates...so don't miss an issue! Shepherdbase (Church Membership Database) is on Sale Right Now Through November 30, 2014 by High Demand for ONLY $29.99. You will also receive 2 Offering Envelope Templates, Church Auto-Monthly (change to any month or year with click of button) Calendars and Offering Count Sheet free as a Bonus for purchasing Shepherdbase! Hurry and Enjoy these Savings! Click Here to Purchase Shepherdbase Now! If you purchased Shepherdbase before December 2013 and would like to receive the latest new updated version of "Shepherdbase" (December 2013 Upgrade) free of charge contact me. This great CD has all the free church forms, certificates, brochures, flyers...(750+) on FreeChurchForms.com along with 4 Bonuses as a Thank You for purchasing the CD all for one special price of $13.99 plus shipping and handling ($7.00 in the U.S. or $27.00 outside the U.S.). 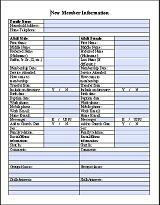 Church forms, certificates, flyers...(750+ forms each in PDF and Microsoft Office Word 2007 or higher version format - some in Excel). Also continually updated to include the latest forms created. FreeChurchForms.com Table of Contents that includes folders/subfolders named the page in which they were generated and the name of the files under the folders. Bonus#1 - Church Offering Envelope Templates#2 (short and long) are included in the CD. Bonus#2 - Expense Report in MS Excel format that will automatically calculate expenses. Bonus#3 - Beautiful 12 Month Photo Auto-Year Calendar in Microsoft Office Excel format that you can easily automate any year you want with the click of a button and change any of the photos very easily on any month you choose. Bonus#4 -eBook - "Top Ten Tips on How to Organize Your Office". Church Office Package – Special Limited Offer! The Church Office Package includes Shepherdbase - Church Membership Database and the Church Forms CD along with all the Free Bonuses for only $40.99 plus shipping and handling ($7.00 in U.S. or $27.00 outside the U.S.)! Hurry and Enjoy these Savings! This awesome eBook is free to my newsletter subscribers as a special "Thank You" for subscribing to my newsletter. I have worked in several different secretarial areas with different jobs and I have learned the hard way how to organize more than one office. Take advantage of these tips in this free eBook and they will help get your office organized. Just click on the link below to download your free copy today. 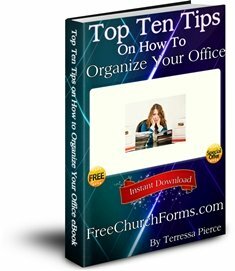 "Top Ten Tips on How to Organize Your Office"
If you have any questions, you can easily contact me through my email: terressa@freechurchforms.com or reply to this newsletter. I will get back promptly with any questions you might have. Need Free Small Business Forms, Certificates, Flyers…Visit SmallBusinessFreeForms.com. Scared or Prepared – Planning Makes all the Difference at DisastersPreparedness.com is where you will find Emergency Survival Kits, Emergency Food Storage, Emergency First Aid Kits & Much More.